La Maltese Estate Buddha-Bar Beach Santorini, is located at the top cliff of Imerovigli village, while being one of the most desired and well known luxury lifestyle venues of the Greek islands and Santorini. It hosts exclusive events and worldwide weddings, by offering the perfect combination of food and drinks. 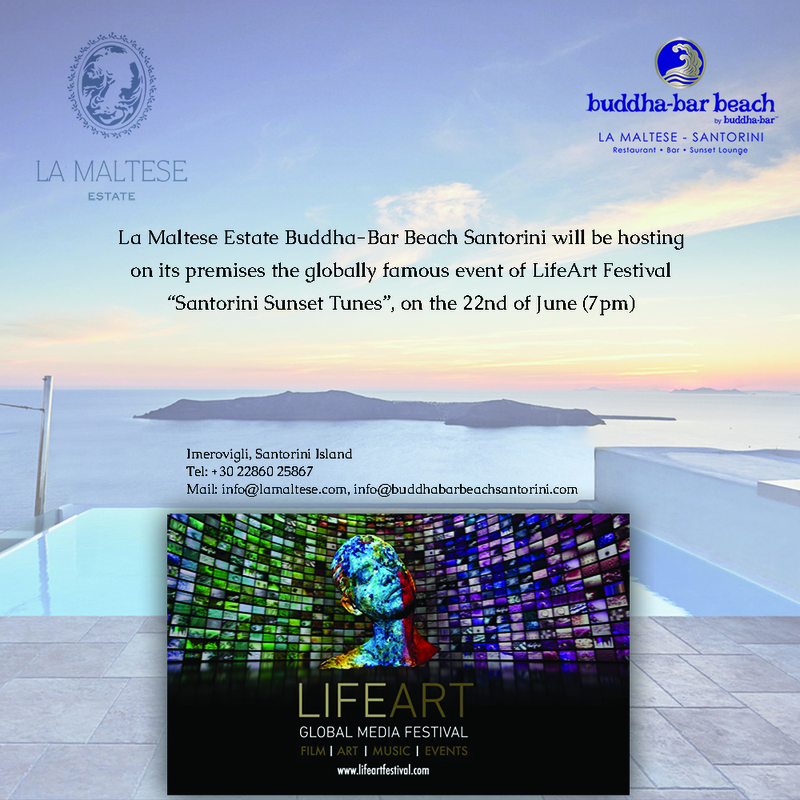 La Maltese Estate Buddha-Bar Beach Santorini will be hosting on its premises the globally famous event of LifeArt Festival “Santorini Sunset Tunes”, on the 22nd of June, from the evening onwards. The uniqueness of the Caldera and the Aegean Sea as a background view, will create once more, a breathtaking canvas of feelings and an unforgettable experience to its guests.